The largest number of malnourished children in the world call India their home. It is a country that fares poorly on many nutrition indicators. There are 19.8 million children in India, under the age of 6, who are undernourished. It is a well-known fact that the foundation of a healthy life is laid in the first six years. For millions of children in this country, starting healthy is but a distant dream. 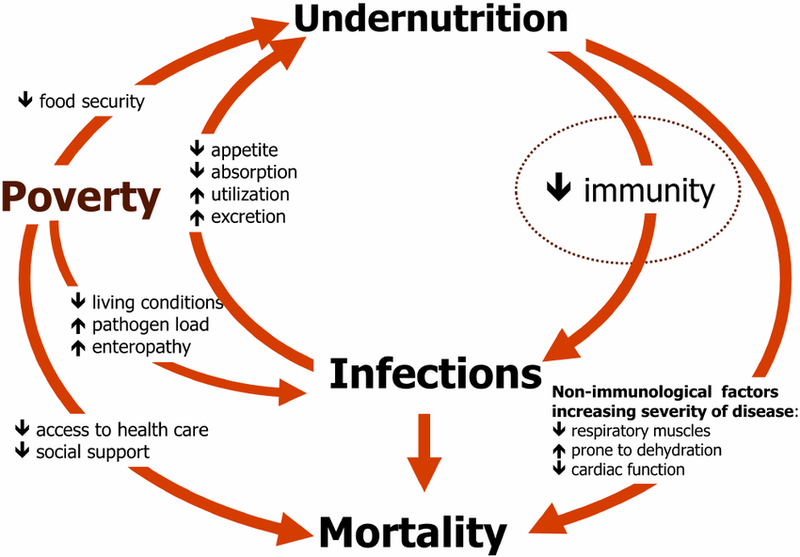 Need not to mention reduced growth, lower immunity levels, higher morbidity rates and overall poor development. only one-third (30%) of the mothers consume iron and folic supplement during pregnancy. According to data revealed by the National Family Health Survey (NFHS- IV), 38% of children under the age of 5 are stunted (not attaining age-appropriate height), 21% suffer from wasting (not attaining age-appropriate weight), 36% are underweight and the total immunization coverage in the country is at a poor 62%. Most alarmingly, only one among every 10 children (9.6%) within the age-group of 6-23 months receives an adequate diet. In order to emphasize the importance of a right and healthy start to the lives of children, the Union government runs an extensive public health system network under the Integrated Child Development Scheme (ICDS). This scheme addresses the needs related to health, nutrition and proper development of children in this age group, pregnant women and mothers who are nursing their young. However, despite sustained efforts, ICDS has not been significantly able to improve the nutritional statistics for the country. Take the case of the small community of Birhors, a nomadic hunting, gathering tribe, living in a remote part of Koderma district of Jharkhand. Until about five years ago, they did not believe in immunization or in practising healthcare for the expectant mother or the newborn child. When ICDS was initially introduced to the community, the anganwadi worker hired from an upper caste refused to even touch the children, thereby causing no major shift in attitude other than a plain disdain for the system itself. It was only when the Rashtriya Jharkhand Seva Sansthan (RJSS), a grassroots level non-profit supported by Child Rights and You (CRY), advocated for a member of the community to be hired as the anganwadi worker for the centre, did some change begin to happen. And even though there has been an increased awareness about hygiene procedures, vaccination is not such a feared experience anymore, and institutional deliveries are happening, there is still a long way to go for the children of this community to attain optimal nutritional status. On one hand, we need to start building proper awareness around the health and nutrition of the mother and the child. On the other, we have to have the infrastructure ready and working with adequate functional anganwadis. The supplementary nutrition centres properly staffed and equipped with provisions at every corner of the country, with adequate resources earmarked for the entire system to function seamlessly. What is needed is a holistic drive to overcome the socio-cultural barriers and systemic hurdles to improve the health and nutrition outcomes of our children and women. The inter-generational cycle of health starts with a healthy mother. It therefore follows that an undernourished mother will give birth to an undernourished child. The right start to life is fuelled by a system ensuring wholesome nutritive care for the pregnant and lactating mother, which then gets extended to the child. A healthy start from the moment of conception is needed, for both mother and child, comprising access to proper healthcare, nutrition and early childhood care. Exploring new models to address the structural and systemic issues on a priority basis, learning from what has worked or not, and single-minded focus on implementation will be critical to delivering better nutritional outcomes and meeting the Sustainable Development Goals, to which India is a signatory. This result, subsequently, in sound physical, emotional and cognitive growth of a child.